Termite Infestations in Your Home? 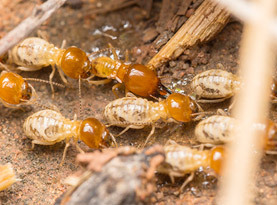 While the most active time of year for these termites to swarm is between July and October, you can have a dampwood termite problem year round. These termites thrive in moist conditions, and almost their entire diet consists of wood that has been damaged by moisture. You will find these termites in areas close to the beach, a home that has a moisture problem or tree stumps. Dampwood termites are usually light brown in color with a dark head; most noticeable are the large pinchers and mouth pieces they have. At adulthood, these termites measure between ½ inch to 1 inch long. Drywood termites are the most common termites found in Southern California. Partly, because they don’t have to eat wet wood. They prefer dry wood and that makes the possibilities endless for infestations. 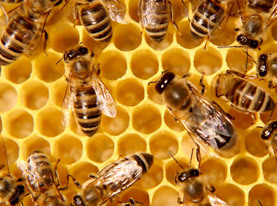 They usually find new structures and swarm during the fall season. They are often identified by their droppings that look similar to a mixture of salt and pepper. They are usually about ½ inch long to 1 inch long much like dampwood termites, but their bodies are much slimmer and they usually have wings. Subterranean termites usually build their nests underground. 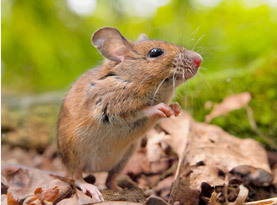 They generally build their nests in moist soil that is located near the foundation of a wooden structure. When they have infested a structure, they leave behind mud tubes along the foundation. They are usually light brown or tan and are the smallest of the termites, measuring only 1/8 inch long. They are the most destructive of the three species. Formosan subterranean termites are often nicknamed super-termites due to their highly destructive habits, large colony size and ability to consume wood at an extremely rapid rate. 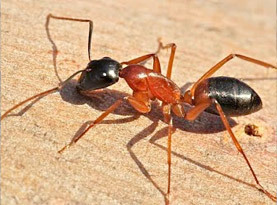 Because of its large population size and extended foraging range, the presence of Formosan subterranean colonies pose serious threats to any nearby structures as well. Call Animal Pest Management, Inc today and talk with a Termite Specialist to see how we can help solve your animal and insect pest problems with guaranteed results. © 2017 Animal Pest Management. All rights reserved.